Apple’s much anticipated spotify rival has finally arrived two weeks after its scheduled date for US subscriber sot enjoy. Unfortunately for UK music lovers it seems that Apple are no closer to a date for launch but it is likely to be fairly soon once legal agreements have been sorted between publisher and owners of content. With MP3’s being a pretty poor approximation of a high quality CD music track, progress was always going to move toward bringing the high fidelity of a CD to the compressed version that we all love due to its very small size. 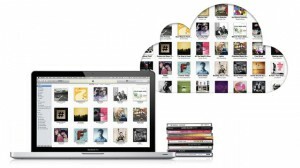 1 – Replace all your tracks with a cloud based high quality track to stream at your leisure from the iTunes cloud. 2 – Legitimise the tracks that you may or may not have bought through iTunes or from your own CD’s. How can you stream your content? The iTunes match service will run on your iPhone, iPad, iPod touch, Apple TV, Mac and PC devices, so you will be able to stream or download the tracks in your collection without having to manually sync to iTunes. In the process your music collection will also be “legitimised” even if you perhaps were not the true owner all along, this no doubt is why the UK music industry is taking so long to agree to terms. If your track can not be found in the 20 million library at iTunes, then the technology will simply upload your existing track and use that. It is not fair to compare the service to spotify as the iTunes service means you have to actually own the music in the first place, and is about quality not quantity, but it is reasonably priced and for what it offers (easy access to your tunes in a much more improved quality) it seems to be quite a fair price. With Google offering something close to iTunes match we wonder if Apple will ensure that speeds are better when uploading tracks than the poorly received Google music technology which is currently free and in Beta.